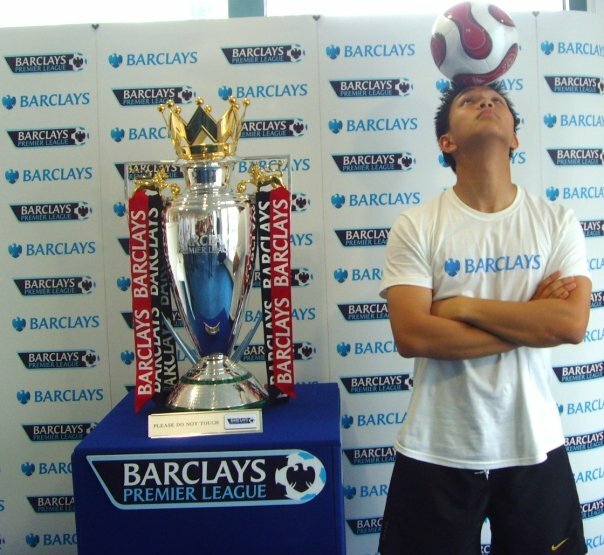 Francis is one of the UK’s top football freestylers. Standing, sitting, or even lying down, Francis continues to amaze crowds of all ages with his unique and extraordinary array of football tricks. In 2006 Francis burst onto the scene by becoming one of the finest UK football freestylers. Since then, his career has gone from strength to strength. Francis’ skills were featured in the music video for the international chart-topping single ‘The Way I Are’ by world-renowned music producer Timbaland, and he has performed on numerous occasions at the new Wembley Stadium before crowds of 90,000 fans. Being no stranger to the camera, Francis has filmed TV commercials for Pepsi, MTV, and Samsung among others. Francis has also made numerous television appearances on mainstream stations such as Sky Sports News, Channel 4 and BBC One. Recently, Francis was seen performing on ITV1 for James Corden’s World Cup Live. Unrivalled in creativity and sheer entertainment value, Francis is sure to bring an unforgettable football freestyle experience to any occasion. His warm, polite and well-spoken manner allows him to interact naturally with crowds of all ages and backgrounds and his charisma shines through with every performance.